We had an interesting emergency visit recently. A guest from out of state asked if we could remove a tooth for him. He was not interested in saving it, he just wanted it out. He had a root canal that was done a number of years back, and unfortunately, he never had a crown done afterward, and the tooth had cracked. From what I could see the tooth was not infected, and my inclination was that the broken part of the tooth was tugging on the gum tissue causing discomfort while eating. Tooth #3 – Lingual cusp is broken off. A dental crown could have prevented this. 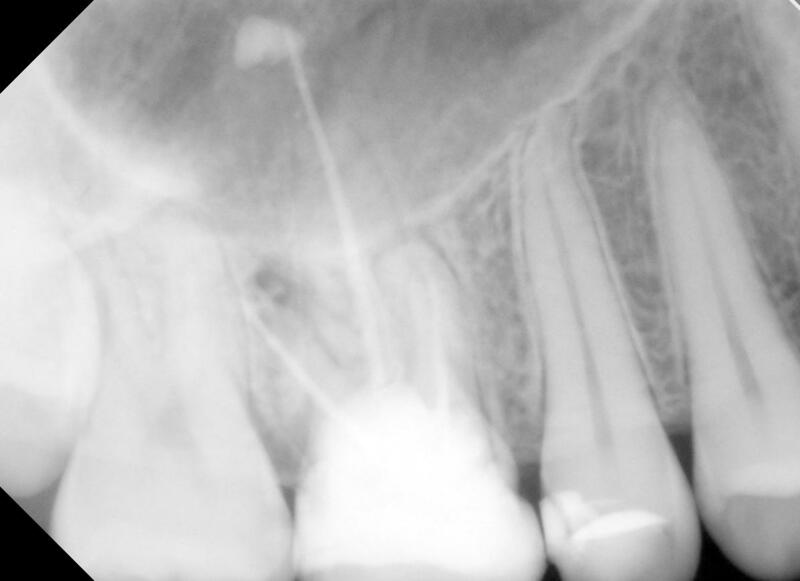 This x-ray shows tooth #3 had a root canal, with no crown. We recommend crowns on all posterior teeth that have had root canals, as soon as possible. We have seen situations where a patient may have dental insurance and would like to maximize their insurance money. The patient could elect to have the root canal done the first year and wait until the following year to have the crown done, thus maximizing on their dental insurance money. If the patient needs some time after having the root canal done, and before having the crown, we just ask them to be careful with hard crunchy foods. No eating on ice, hard candy or corn nuts. 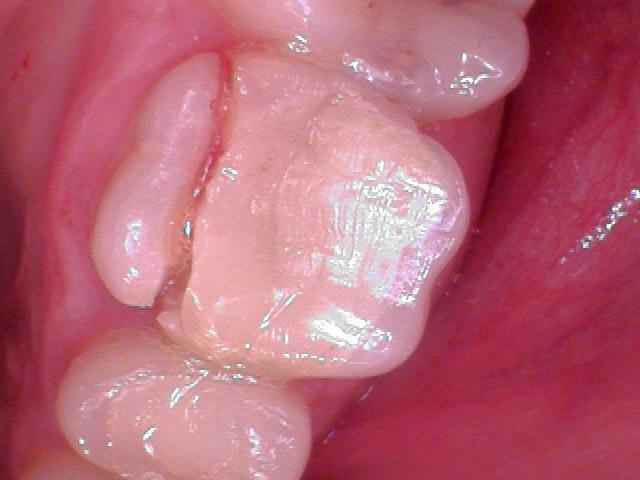 We don’t want the tooth to crack before the crown can be placed. If you are interested in more information about crowns, for a brochure from the American Dental Association, press here. If you would like to see how esthetic a crown can appear, press here. If you have any dental questions, please call. Hello SamuelErek, We love all content from the dental community. I noticed you have two websites? I’m thinking Daniel G. Mashoof D.M.D. work at two different offices? I like the website that goes with the 1811 156th Ave NE, office better. All the best, thanks for coming by.